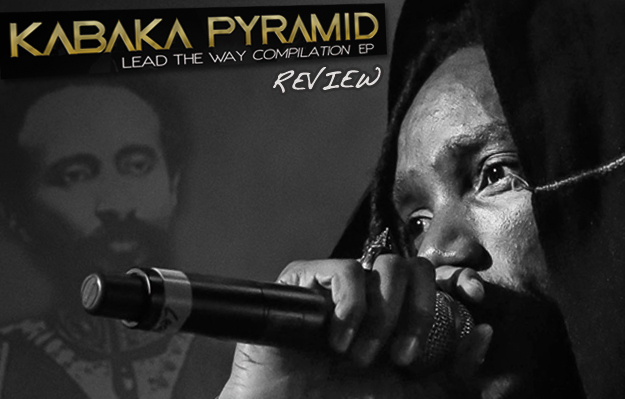 At the time of writing, the stellar rise of Kabaka Pyramid has yet to include a “proper” album. The yogic roots-rapper began with hip-hop mixtapes (the Transition 1 and 2) before breaking out with a free EP (the seamless reggae-hip-hop balance of Rebel Music). Now, he and his management Bebble Rock Music have collated this compilation of singles and new tracks, voiced with different producers since then - presumably to clear the decks for a full-fledged long-playing project (although you never know…). A compilation this may be, but it's been put together with the necessary unity and quality. There is European roots (the track on Irie Vibrations’ propulsive Rub A Dub Market rhythm); Jamaican one drop (DJ Smurf’s previously unheard Teach Di Youths); and auto tuned balladry with powder keg lyrics (Chimney Records’ No Capitalist, where Kabaka knowingly speaks through the device, as if mocking it, upon the outro). There is reggae looped to 4/4 on-beats à la Rebel Music (Equiknoxx nabbing the intro to Queen Majesty on King Kabaka). And there is more classic rhythm bastardry for No Cliche, saluting comrades Chronixx, Protoje and Jesse Royal’s versatility over Flash Hit Records’ melodically tweaked cousin of the Heavenless. The three bonus tracks on the deluxe edition seal the deal. Razor-sharp Equiknoxx creation Choppingz is a showdown with fellow prodigious wordsmith, Masicka. Israel Records’ repatriation anthem Fly Di Gate contrasts Kabaka with the soaring voice of Tarrus Riley. The nod-oholic War Crime & Violence comes courtesy of another propulsive unit out of Austria: Union World Music. The promo included the Lewis Planter production Get You, based around a sample of the Wailers’ faintly stalker-ish CBS recording Gonna Get You – which is available as a free download. Whether praising Selassie and Garvey, courting ladies or sticking it to Italians – well, Mussolini and the Vatican - Kabaka’s lyrical skill, rhythm-gelling and flow are never in doubt. It is worth noting that the sparser canvasses of the hip hop and old school reggae beats suit him slightly better than the poppy one-drop: the widdly guitar solos on Teach Di Youths and duet with Shanique Marie, Must Be Love, distract a little from his words. If you haven't got these singles (and in today's market where people use YouTube and Spotify, few will) you should grab this carefully compiled collection without delay. And steel yourself because if an album proper is coming, it’s going to be big.